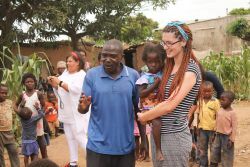 OM Africa associate director discovers a passionate young evangelist in Makwati. 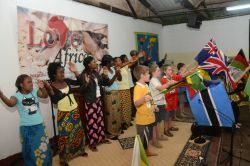 The Love Africa Conference in Zambia inspired many as they connected with God and people from around the world. 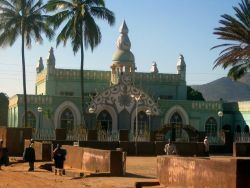 The first Christian wedding on the shores of Lake Tanganyika took place in Tongwa village on 10 July 2011. 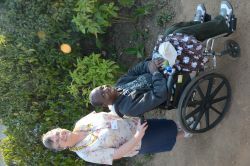 Prompted by God, Gail (USA) took a wheelchair on outreach to Zambia, not knowing that she was an answer to fervent prayer. OMer Alfred would tell you he might have been a Satanist today if it wasn’t for the efforts of five college students 20 years ago. 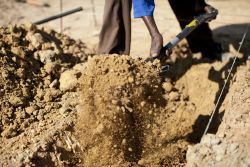 With the vision to equip more than 2,500 workers annually—three times the current number—OM Zambia invests in building a new training facility. 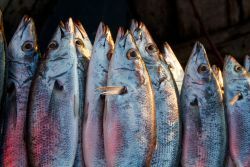 A Bulgarian couple learns that the wildest thing they could ever do in life is share Jesus with other people. 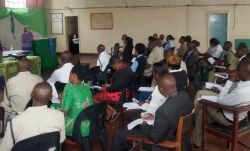 A man healed by God changes his family business to send free Bibles to anyone who needs one. 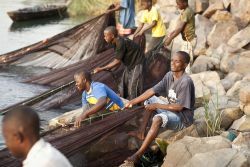 OM Lake Tanganyika hosts training for local fishermen to equip them to take the gospel to their families and neighbours. 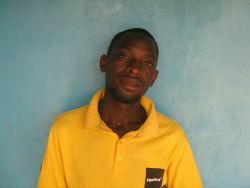 Zambian Charles chooses to live for Jesus after being challenged by his OM Zambia football coach. 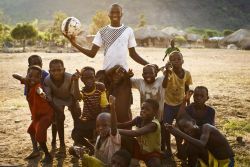 OM in Africa continues building on the momentum for the gospel created by the excitement of the FIFA World Cup in South Africa last year. 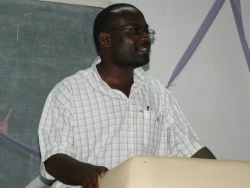 OM Zambia Director Melvin Chiombe shares about his faith ministry of pioneering indigenous African missions. 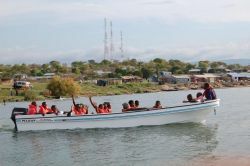 Local missionary family serves as a testimony when rescued from a capsizing boat on Lake Tanganyika. 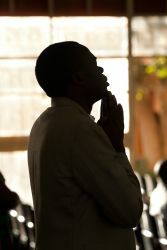 Students and staff of OM Zambia join local churches in prayer during the annual Global Day of Prayer. 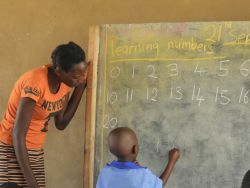 A story of transformation in the lives of a community school teacher in Makwati village in Zambia. 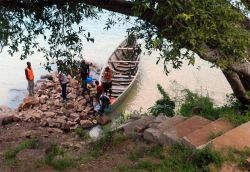 The second generation of village missionaries reach out to a new village along the shores of Lake Tanganyika. 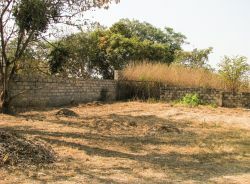 Construction begins for permanent Makwati School and church buildings. What began as a dream two years ago is starting to become reality. 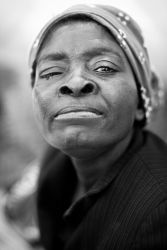 A woman's testimony of change and hope in desperate circumstances. 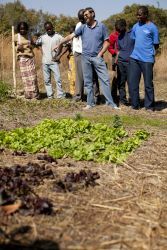 A couple who teaches a biblical farming course moves into a village to demonstrate what they teach. 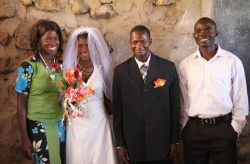 OM Zambia celebrates the marriage of a teacher from a community school in Kabwe, Zambia. 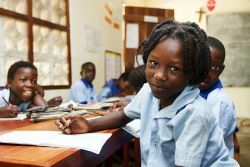 Girls are dying because of a lack of knowledge. 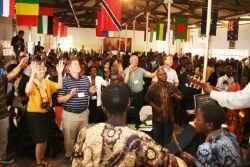 More than 700 delegates assembled in Kabwe, Zambia, for the annual Love Africa Conference from 3-6 August. 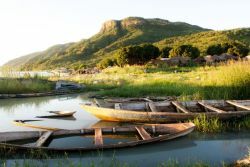 OM Lake Tanganyika gets a much needed boat for its ministry to villages along the lakeshore. 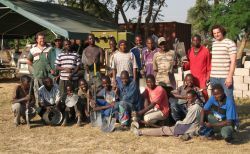 School kids skip class to gather caterpillars in Zambia. 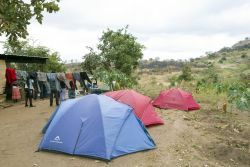 OM Zambia completes its long-awaited move to its new ministry base. 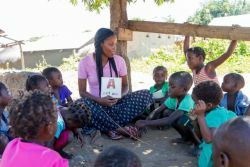 Zambians are trained to become teachers that will transform students and entire communities for the Gospel of Jesus Christ. 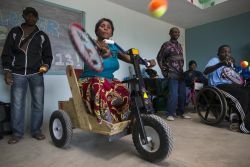 OM Zambia opens the first school for disabled children in central Zambia in January 2013. 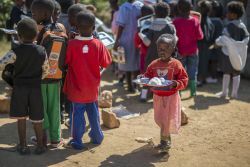 The daily meals students receive at Makwati School help the kids learn and help the parents who cannot provide enough food for their families. 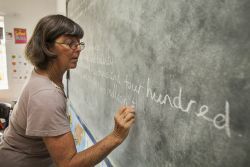 Teachers at the Good News II Orphan School tell about the changes in their students. 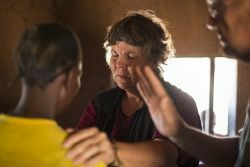 Nurses trusting in prayer see miraculous healings take place before their eyes in remote villages. 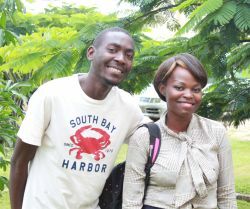 For a young Zambian woman, learning that she was HIV positive was not the end, but a new beginning. 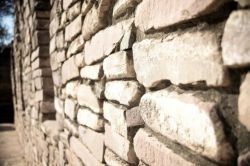 A young man's life is transformed starting with a simple question and a search for truth. 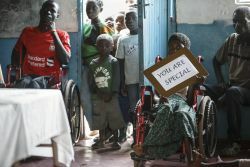 Two lifelong friends from the US bring a message of hope, friendship and a future to marginalised locals during OM Zambia’s first-ever wheelchair camp. 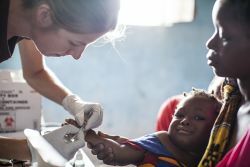 An English nurse embraces the challenge of a lifetime on Lake Tanganyika. 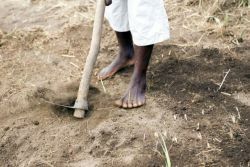 A Zambian worker reaches out with love to the people of Somalia living in his country. 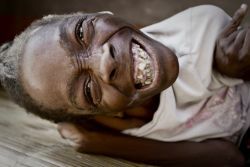 In Tongwa village husbands and wives don't know how to love each other. A young couple is working to change that. 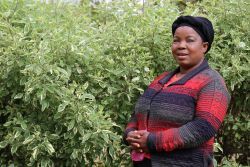 Meet one woman who serves God as the only community health worker for over 2,000 people in six remote villages of Zambia. 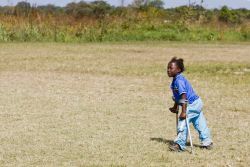 One young Zambian man’s life is transformed when he encounters Christ through an OM football team and a coach’s patient effort. 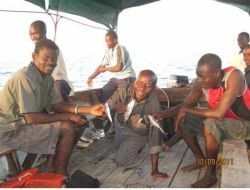 Working and living in fishing communities on Lake Tanganyika in Southern Africa, OM workers disciple locals in the ways of Christ. 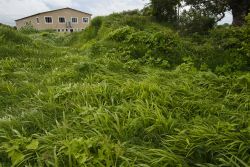 It started with one ball and grew to become a garden. 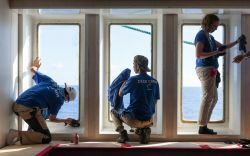 Rebecca discusses how serving in missions teaches us not to hold on too tightly to anything. Rebecca discusses going at it alone, versus having a support team, in missions. Rebecca discusses how God is like the dentist. 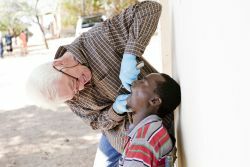 Twice a week Lourie Ferreira heads out into rural Zambian communities to show God's love through dentistry. 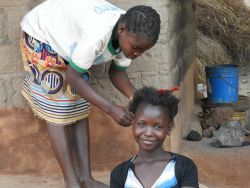 The life of a girl in Mpulungu, Zambia, is not easy. 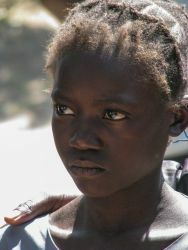 But OM has found a way to share God’s love with these vulnerable girls. 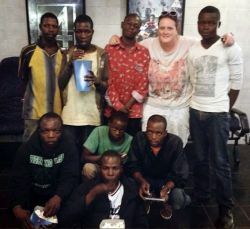 “Seeing how these boys lived…put my own life into perspective,” said Anne Davidson, after spending time with youth living on the streets of Lusaka. 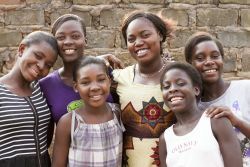 OM Lake Tanganyika is using cheerleading as a way to reach out to African young women and girls. 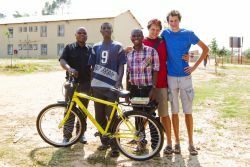 BLOG: How is taking photos being a missionary? 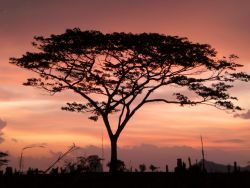 Rebecca discusses being a missions photographer. 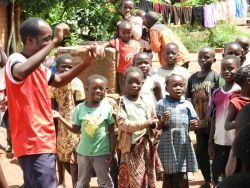 Dimas, the headman of a small village along the shores of Lake Tanganyika, shares about the challenges of being a headman and Christian. OM Zambia participates in Run4TheWorld for the fourth year, offering 35-km and 65-km cycling routes, in addition to the 10-km run. It's more than just a sport. 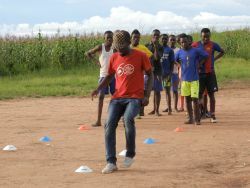 OM is using football at Lake Tanganyika to train and empower young boys. 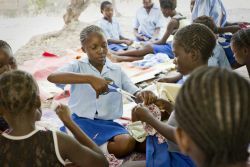 OM Zambia develops women through skills training in sewing, cooking, embroidery and more to bring change to communities. 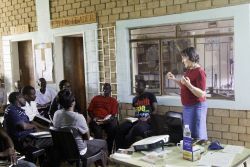 The need for HIV education still exists. 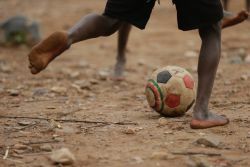 Mwando village along the shores of Lake Tanganyika didn't have a church, but they did have an interest in sports. 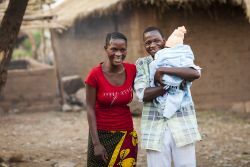 Ega and her family receive a new house through OM Lake Tanganyika. 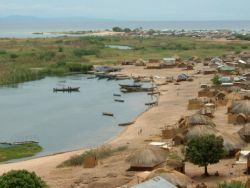 OM Lake Tanganyika faces battles of faith vs. witchcraft. 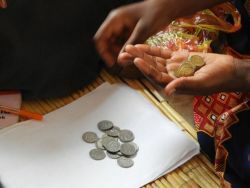 There is a belief that street kids are evil and cannot be helped. 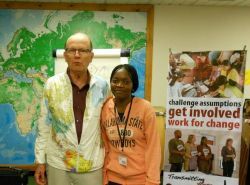 OM worker Christine Jones in Zambia believes differently. 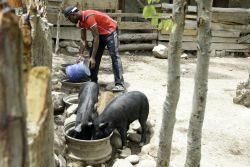 September 2014 OM Lake Tanganyika started a farm with two pigs, today they have 78. 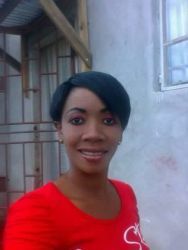 A high teenage pregnancy rate demands change. 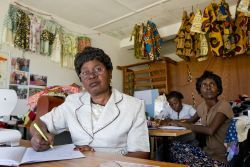 Tabitha Initiative in Kabwe, Zambia, gives business training and small loans to vulnerable women, empowering them to start sustainable businesses in their communities. 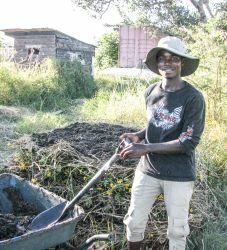 How one man who is affected but not infected by HIV is helping his community. 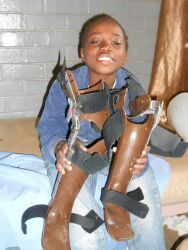 Yande learns to walk with the aid of crutches and splints provided by Bethesda Mercy Ministries. 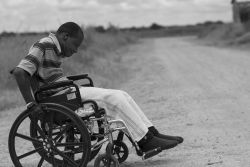 A young man with a disability finds help at Mercy House and his grandmother finds a way to serve. 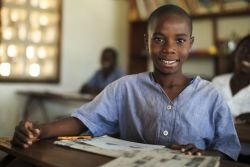 Five years ago, seven boys were chosen to be discipled as Honest Boys in Mpulungu, Zambia. They carry the values proudly in their adult lives. 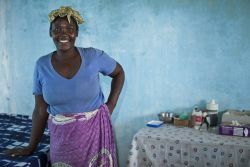 Cecilia dreamt of being able to provide a safe place for at-risk girls. In January 2016 that dream was realised in Hope House. 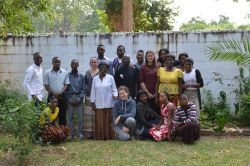 AIDSLink is opening a new care centre in Zambia to teach people living with HIV and AIDS to care for themselves and others. 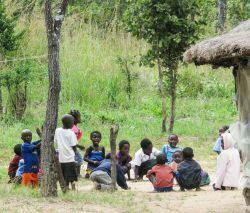 The Good News II School in Mpulungu, Zambia, has grown from 20 students to over 180. 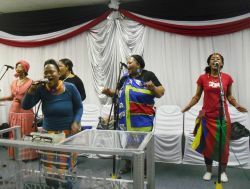 Students have grown from the values they learnt. 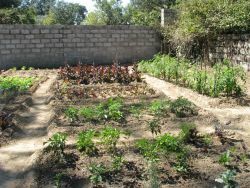 Foundations for Farming is changing lives in Zambia by reaching out with God's truth and practical training. 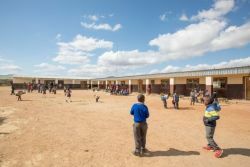 God can accomplish much when learning moves outside the classroom and a mission student serves in Namibia. 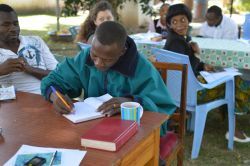 God's vision is unfolding in Mkushi, Zambia as he makes his plans clear to a worker named Mary and blesses the work of the team. 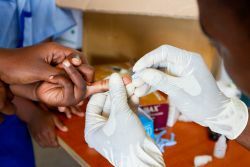 The Good News II School in Mpulungu, Zambia, decided to offer HIV testing to the students to encourage the children and their guardians to know their status as well as break down some of the stigma surrounding a positive status. 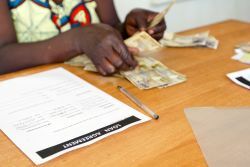 A young woman's life is transformed by the love of Jesus shared and displayed through Tabitha Skills Training in Zambia. 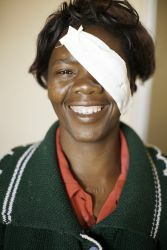 Meet Yande, a young girl who does not let anything stop her.